Dominic Clarke, a member of the Australian team of trampoline gymnasts, is pleased with the training in the additional hall of the National Gymnastics Arena in Baku. Here are very good conditions for productive training of gymnasts, he said. Clarke said it is great that there is an athletes village near the National Gymnastics Arena. It is very convenient for athletes, he stressed. The hall is equipped with everything necessary for training, Clarke said. Azerbaijan has a lot of high-level athletes. 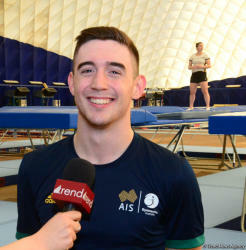 That is why Australian gymnasts chose the National Gymnastics Arena and came to Baku. 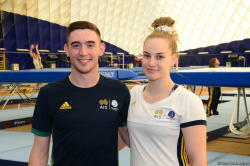 The Australian team of trampoline gymnasts arrived in the capital of Azerbaijan for training on the eve of the 33rd FIG Trampoline Gymnastics World Championships, to be held in St. Petersburg, Russia, in November.